Today was the last full day of our Study Tour in Shanghai. We began the day with a lecture on Chinese Security Law, presented by Charlie Xiao-Chuan Weng who is a current lecturer at both Shanghai Jiao Tong University and the University of New South Wales. We learnt about the history of security in China as well as the history of the economy and the changes in Chinese economic policy and the events that caused these changes since before 1990 right up to the present. After this brief history lesson, we learnt about China security laws in their current form, specifically IPOs and the regulations and agencies that govern security in China. 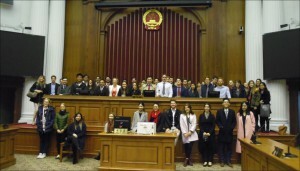 In the afternoon we joined students from the University of Melbourne on a visit to the Minhang People’s Court. 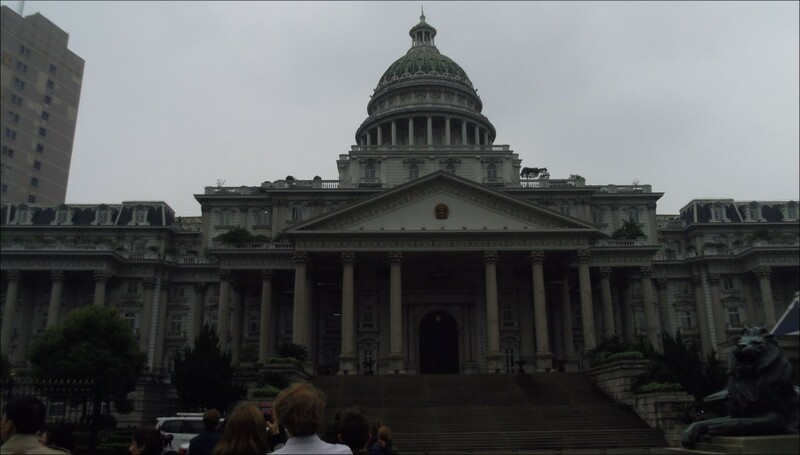 As our bus approached the impressive building, many of us noted the aesthetic similarities it had with the White House. 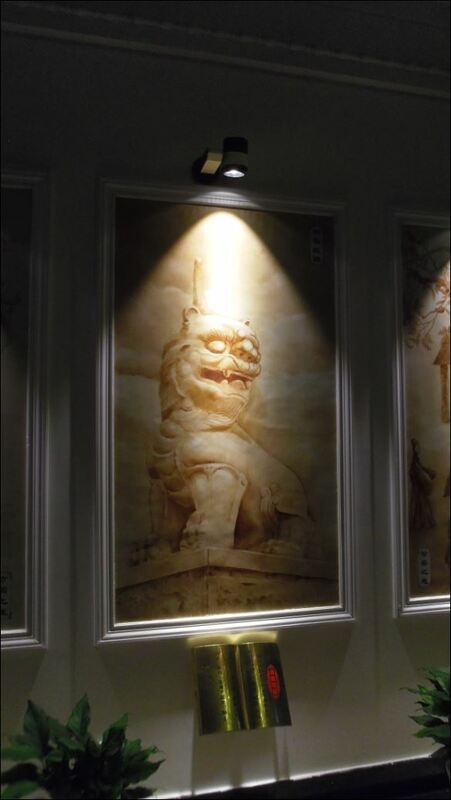 Upon entering the building, we were shown 12 porcelain paintings. The illustrations were of both historical symbols of Chinese law and stories about justice in China. 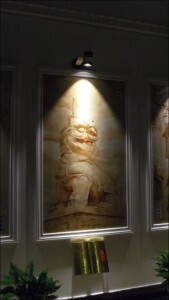 The paintings also reflected the Chinese history we’ve been introduced to in our lectures. Continuing into the building, we were able to sit in one of the main court rooms, and saw an exhibit detailing further information about the court, how the court has changed over time and symbols of Chinese legal culture. The final activity for the day and the entire trip was the farewell banquet, once again hosted at SJTU’s faculty club. 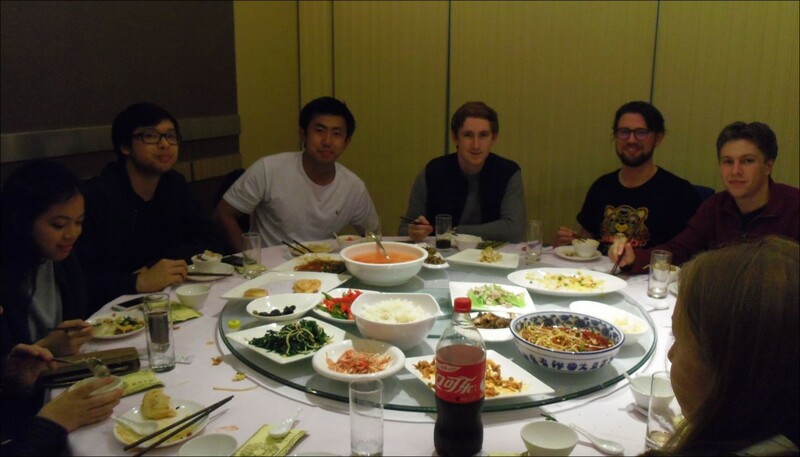 Like the welcoming banquet, we were treated to a wide array of amazing Chinese cuisine, and everyone was able to celebrate what has been an eye-opening experience in Shanghai. 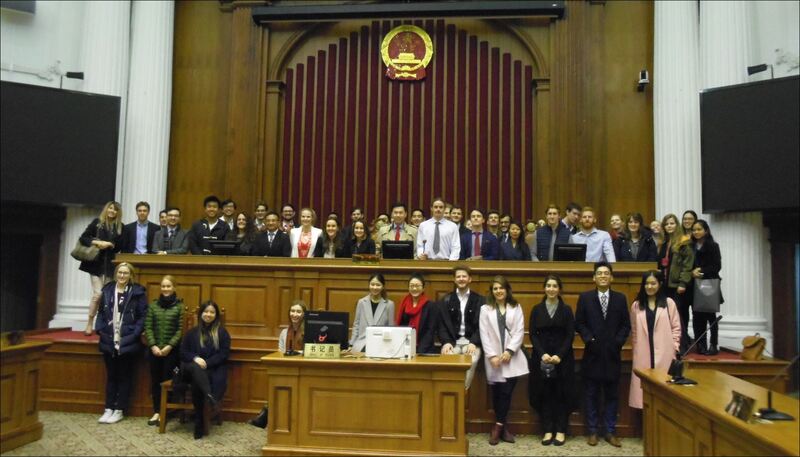 We were able to reflect on how lucky we have been to gain first-hand exposure to Chinese culture and to gain the knowledge we have about the Chinese legal system through our lectures and excursions and has helped to broaden our perspectives. The trip has inspired us and motivated us to consider taking our future legal careers overseas and make a difference not just in Australia, but internationally. This entry was posted in Events, News and tagged China Study Tour 2017, China Study tour Day 10. Bookmark the permalink.